Joseph came to Grade Learning Stoney Creek with the goal of becoming a Security Guard. He had been a driving instructor but had become self-employed out of necessity when his company restructured. Robert came to Grade Learning Stoney Creek for training in order to become a Security Guard. The company he had worked for previously had closed and he was looking to begin a new career. He chose Grade Learning’s Security Officer Diploma program to help him meet his goal. Dropping out of high school after only completing grade 9, Gerri felt frustrated and thought school was just not for her. She didn’t believe in herself and had no interest in school work, especially in the subject area of math. Gerri was 50 years old when she enrolled in Grade Learning’s Specialized Training program for Academic Upgrading. Over her year of academic upgrading, Gerri realized that school was actually something she was interested in and that she had great potential to do well. She set a good example for all students at Grade and passed the Canadian Adult Achievement exam, which allowed her to enter Grade Learning’s Security Officer Diploma program and secure a full time Security position with Lakehead University. “My goal when I came to Grade Learning was to complete academic upgrading so I would be able to pass the entrance exam in order to enroll in Grade Learning’s Security Officer Diploma program. I gained math, reading comprehension, and spelling skills, which I thought was impossible before coming to Grade. I enrolled in Grade’s Security Officer Diploma program and after earning my diploma, I was able to successfully write the Security Licensing exam, obtaining my Security License, which I couldn’t have done without Grade’s small class sizes and one on one instruction. Nelson entered his Customer Service Diploma program at Grade Learning with the objective of gaining the customer service and computer skills necessary to further his career. Upon starting the course, Nelson was nervous about returning to a formal training program, as he was uncertain about how it would impact his daily familial responsibilities. However, he soon learned that Grade was able to be flexible and accommodating for adult learners in situations similar to his. Nelson adapted extremely well to his classes and became known by his teachers as a motivated and hard-working student who demonstrates an interest in lifelong learning. 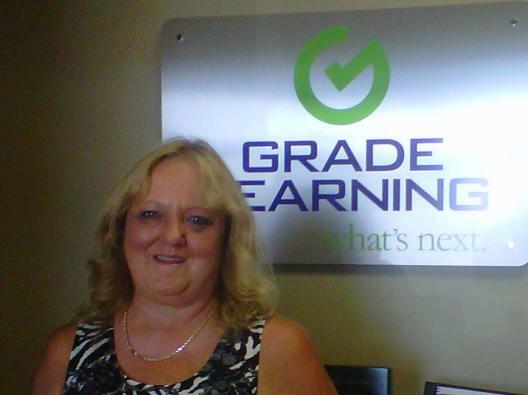 “My goal, upon registering with Grade Learning, was to complete the Customer Service Diploma. I was a construction worker prior to coming to Grade. I did construction work all my life, and after my circumstances changed, I had the opportunity to retrain for a new career. My experience with Grade Learning was very positive; the atmosphere was very comfortable and not intimidating. The teachers were helpful and informative. They were supportive throughout the course. 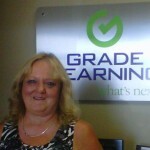 With Grade Learning’s help, I improved my knowledge of Microsoft Office and learned key customer service skills. Grade gave me the skills and encouragement needed to pursue a career in customer service. After working in a factory for a number of years, Helen decided it was time for a change in career. She came to Grade Learning to complete a Customer Service Diploma program. “I was very nervous my first day as it had been a long time since I was in school and I had very little computer knowledge. I was also afraid I would be in a large classroom as I did not think I could handle that. From day one the staff showed they cared. They made me feel relaxed and showed me that I could do anything I wanted to do. I learned how to surf the internet, use email, and work with MS Word and Excel. Getting my diploma has shown me I can be successful, and it has helped me get a job. I would definitely recommend Grade. You get a lot of individualized attention. Your time is not wasted learning stuff you already know. They focus on what you do not know. You are not just a number you are a person. For students who have been out of school for a while and feel nervous about going back to school, this is the school for them”. “Grade Learning was a good experience for me. I never expected it to go so well. I thought the course would be harder, but the staff were very helpful. The Customer Service Diploma program helped me understand the Microsoft Office programs and made me more computer literate.